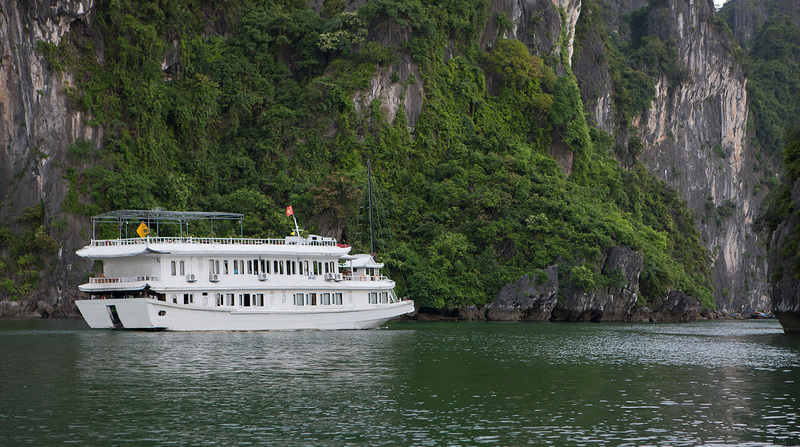 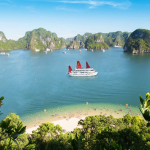 Halong Imperial Junk is a deluxe cruise. 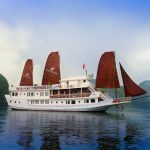 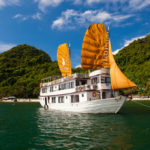 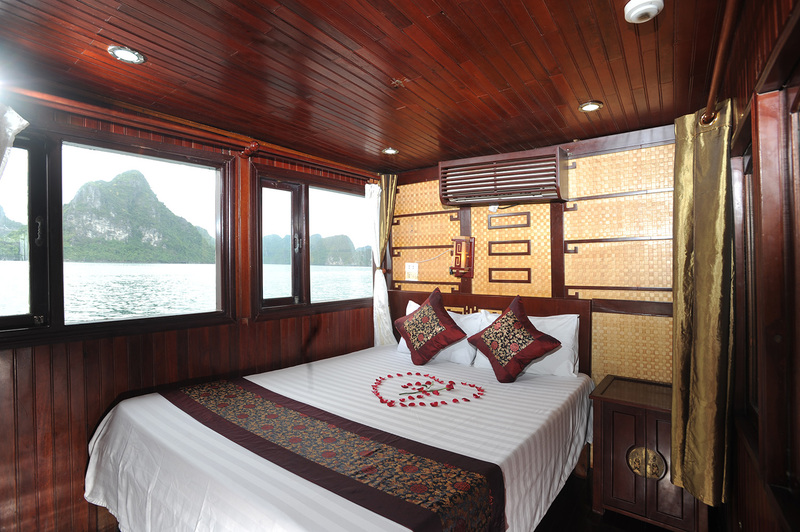 Traditional sailboat built of wood with modern facilities and firt class service, is perfect for exploring Halong Bay on Halong Imperial Junk. 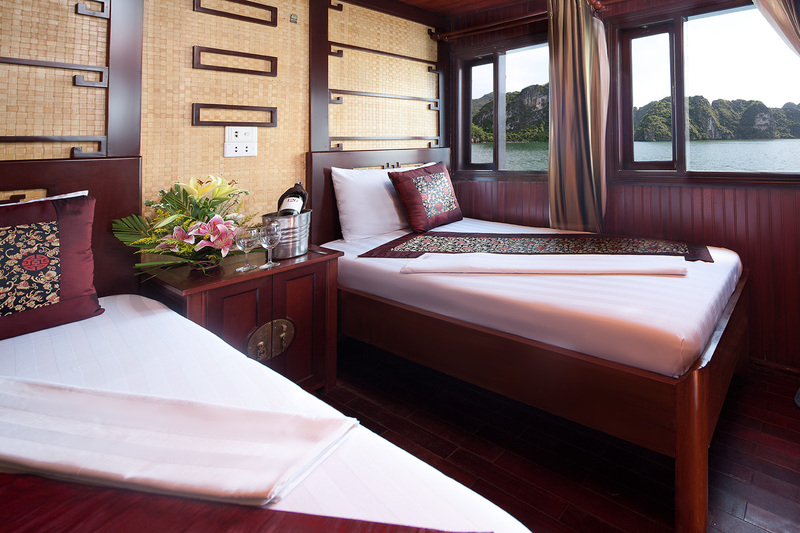 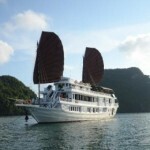 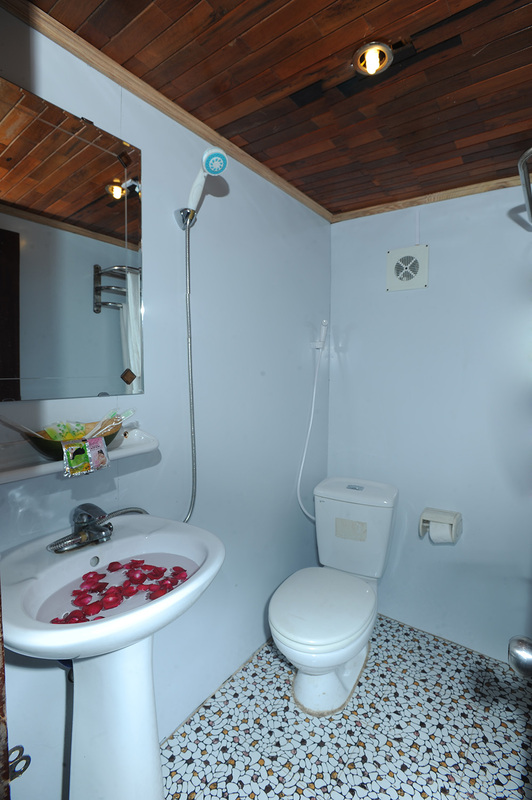 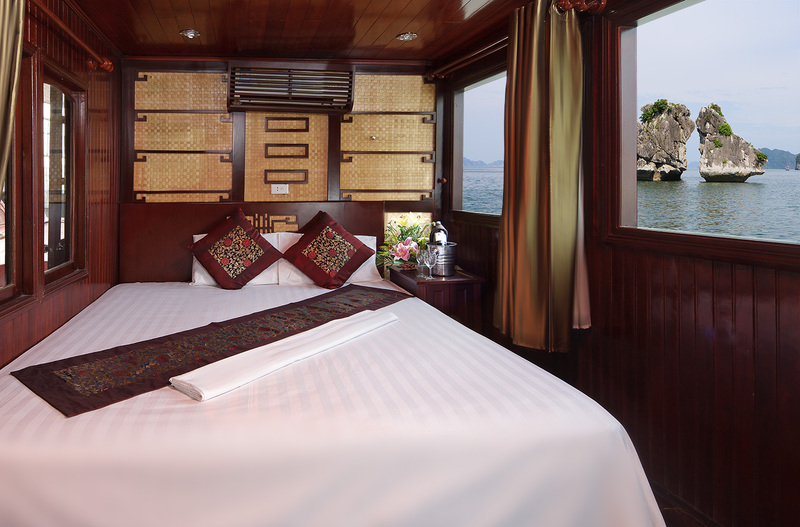 Relaxing, enjoying the amazing Halong Bay on the comfortable sundeck’s Halong Imperial Junk. 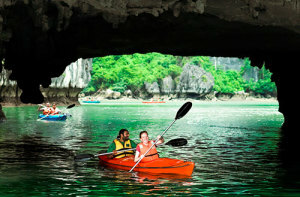 Exploring the mistery of Halong Bay kayaking. 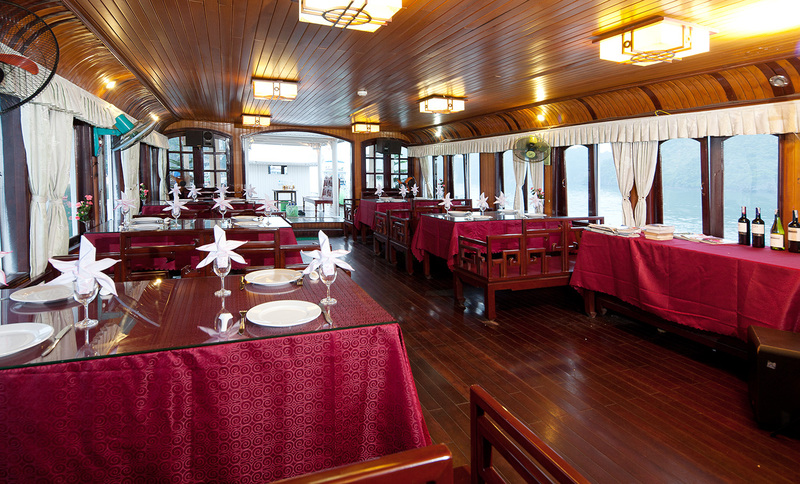 The main food in Imperial Junk is Vietnam traditional dishes made of local seafood. 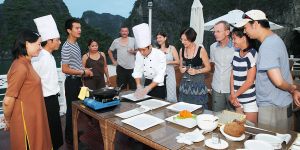 Besides, experienced cooks of Imperial Junk will bring to you other delicious dishes from beef, chicken with fresh herbs and spices in set menu. 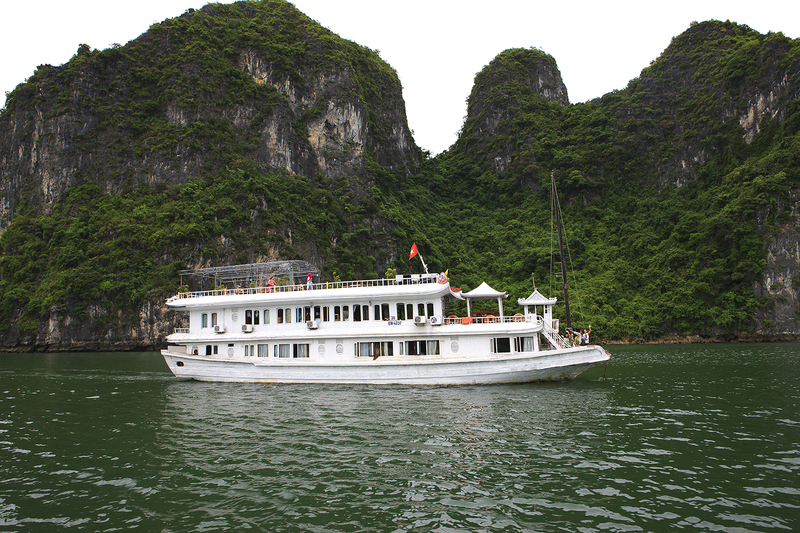 12:00 – 12:15 On arrival at Halong city, you will board your Imperial Junk Boat and you are warmly welcomed by professional and friendly crew. 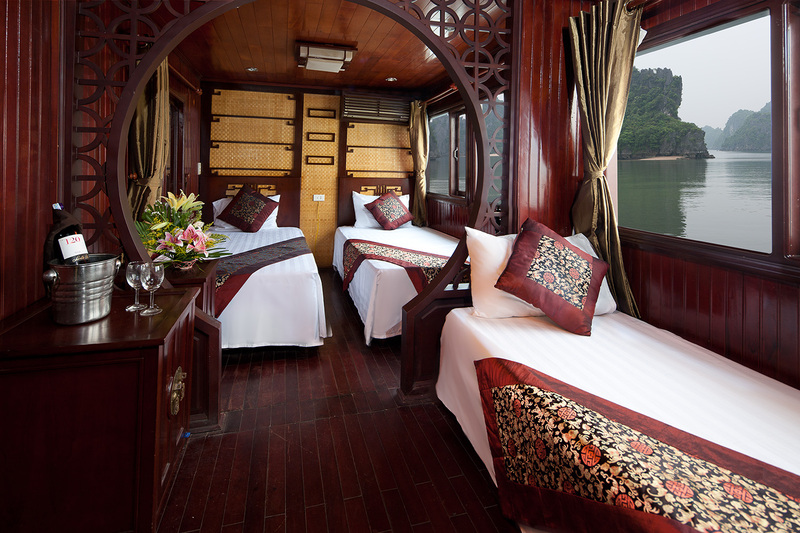 Check into cabin. 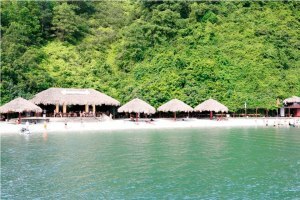 11:30 Boat trip to visit Monkey Island (if permiited). 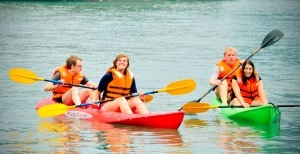 16.00 Back to the boat .